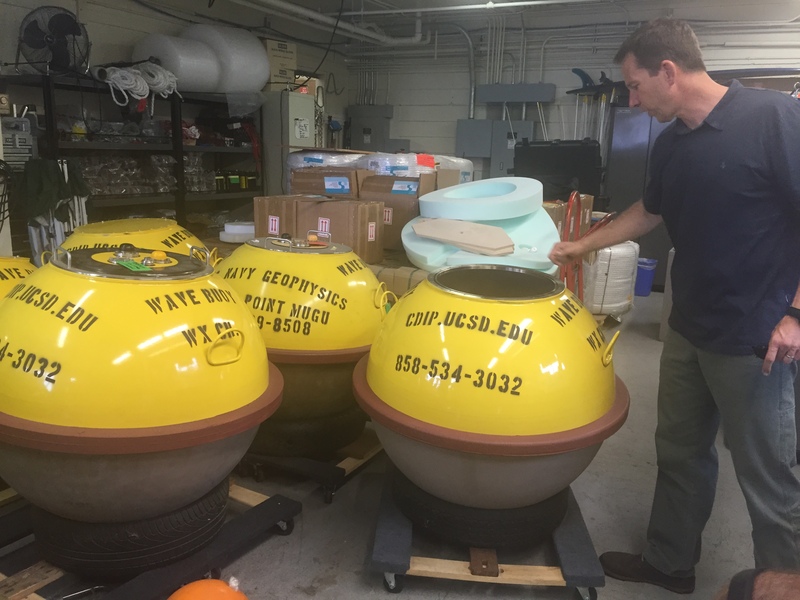 A few members of the Maritime Research and Development team took a trip to San Diego in January 2015 to visit Seabotix and receive training in operating our vLBV (a kind of underwater ROV). While we were in the neighborhood we stopped by Scripps Institute of Oceanography to learn more about the work they have been doing and the challenges they face. We then got trained in operating and maintaining our vLBV, and also learned basic sonar navigation. Turns out it’s a two person job – the navigator focuses on reading the instruments and giving instructions to the operator, and the operator focuses on steering. A friend decided to jump on deck and see the action. We left him alone and he quickly grew bored with us and just slept in the sun.